Korean drama claims a decent slice of the international entertainment pie thanks to the visible efforts of the Korean government, the creators, and the fans behind the Korean wave (Hallyu/한류, which literally means “the flow of Korea”), the powerful movement that shares South Korean entertainment and culture beyond its borders. In the 1990s, the Korean wave began in earnest, but it wasn’t until 2011 that I discovered it through the Korean drama “You’re Beautiful.” From that starting point, I, like most international fans, became immersed not only in Korean drama, but in many things Korean: K-pop, Korean food, Korean skin care, the Korean language, and Korean culture. Eventually, because of my background as an academic and a professional cellist, I began to apply my training to the analysis of Korean drama and K-pop, which eventually led me to HanCinema. Allow me to introduce myself. I’m Lisa Espinosa and I am the managing editor of HanCinema, The Korean Movie & Drama Database. HanCinema is a Canadian company that was begun in the summer of 2003 by Cedric Collemine, a man who saw an empty space in the market and decided to fill it. While the popularity of Korean film and drama was growing, there was no singular source of information about film and drama. HanCinema began as a database of information about films, cast, and crew that has since been expanded to include dramas, reviews, on-site coverage, news, and culture pieces. At present, more than 2,800 films, 1,500 dramas, 10,000 cast and crew, 900,000 images, 110,000 new pieces, and 12,000 videos are housed on the database, making HanCinema one of the most comprehensive English websites on Korean cinema and television that continues to grow. Our audience can be found all over the globe and is strongest in the United States of America, Indonesia, Philippines, Malaysia and Singapore with growing numbers in India and China. New HanCinema readers join the fanbase daily from all over the globe. These are large expanses of land, country, and language, but since so much of the world has made efforts to learn English, HanCinema is able to connect with Hallyu lovers worldwide, which explains HanCinema’s large reach. HanCinema tapped into Korean film and drama at a time when it was permeating into markets beyond Korea. Although Korea has been creating and airing dramas since the 1960s, it was not until the 1990s that the rest of the world began to feel the impact of Korean drama, a carefully crafted art form that is compelling and addictive, which is currently at an all-time popularity peak. Initially, the Korean drama began its foray outside South Korea in East Asia in the late 1990s, finding great popularity in countries like China and Japan with Confucian roots that shaped family-oriented and strict socially hierarchical societies. The same values are evident in Korean drama. In 2004, it gained so much popularity in Taiwan that Taiwan became the leading importer of Korean drama. Before its spread to Taiwan where it remains popular today, the Korean wave was in part triggered by the desire of South Korea to overcome the troubles it faced financially during the 1997 IMF Crisis that crippled the South Korean economy. Although only one of many solutions crafted, a focus on culture was one path that was explored by Korea and the result of that is the expansive Korean wave of today. During the late 1990s and early 2000s, parts of the Middle East tapped into the growing Korean wave. Iran is a famous consumer of Korean export in general. 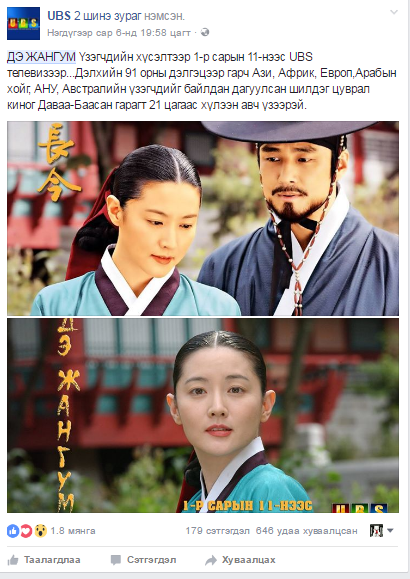 Public Radio International (PRI) mentions satellite TV as one of the first purveyors of Korean drama to the country that had suffered from censorship similar to South Korea’s in the 1980s. 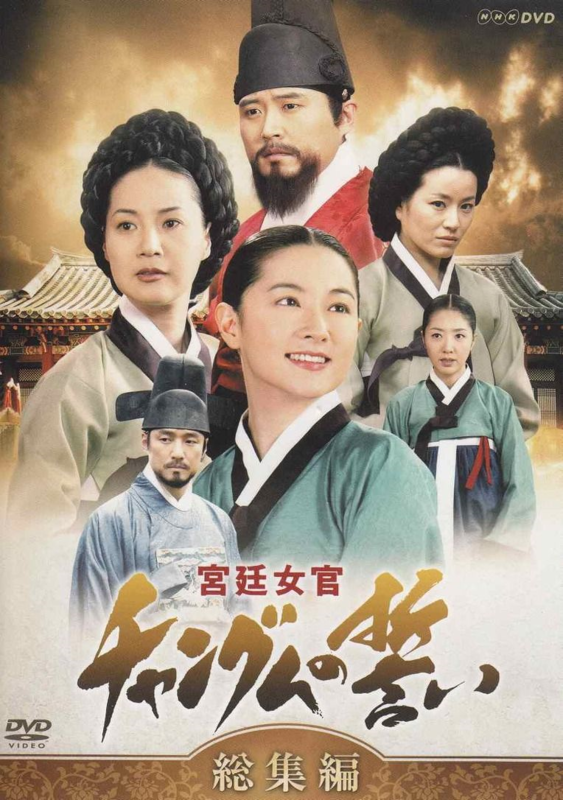 Around the same time, “Winter Sonata,” which shot leading actor Bae Yong-joon into stardom in Japan, became a commercial success while historical drama “Dae Jang Geum” spread virally all over the world, earning new viewers and proving that the Korean investment into culture and entertainment wise. In the mid-2000s, Netflix had begun offering Korean drama as part of its growing title list while local channels in Korean-American neighborhoods began subtitling Korean dramas in an attempt to reach a wider audience. DramaFever joined the international Korean drama scene in August of 2009 while Singapore-based Viki joined in 2010 with its fan-supported subtitling and communities. It is around this time that Korean drama began to really take hold of the North American market because of the new access to content. Fans were now able to legally access dramas and dive further into Korean entertainment. Lindsay Roberts, a Ph.D candidate at the University of Southern California with a focus on South Korea and contemporary South Korean visual media and sociocultural history, explains the appeal of Korean drama to non-East Asian and Western societies. Korean drama’s unique, well-crafted ability to “evoke strong emotions in believable settings that feel real… and [that go beyond the] border of race and language.” Essentially, Korean drama creates visceral responses to characters and their situations, no matter the viewer’s country of origin or native tongue. Korean dramas, especially ones that combine old Confucian values with modern society, really speak to audiences both Eastern and Western, infusing the stories with elements familiar to both, successful cultural hybridization. Another way that Korean drama reaches new audiences is by simply making it available to them. According to Estefania Arteaga, Director of Content Programming and Acquisition at Viki, the Viki community translates content into 200+ languages. “This allows for the content to truly travel and reach new audiences.” Arteaga points out that the main regions of growth for Korean content in recent years have been the Americas and Europe. During the creation process, Korean audiences have an important voice in content shaping because audience feedback shapes the live shoot process. In the past seven years, the international community (part of which has been fostered by Viki) has helped increase consumption via social media, which in turn influences the kinds of dramas that are made based fan preferences. Availability of drama through legal sites has grown viewership. One of the biggest commercial successes internationally was Chinese-funded “Descendants of the Sun”(left) that shot stars Song Joong-ki and Song Hye-kyo into the international limelight and resulted in rights sold to over thirty countries. This isn’t the first production that showed the effects of wise and large Chinese investment, but it is the pinnacle. However, in August 2016, China banned South Korean content for political reasons. Prior to this decision, “China [had] become the biggest export market for South Korean TV content and music acts,” according to Patrick Frater of Variety, only one journalist of many who tapped into the biggest industry news of 2016. Korean entertainment events were canceled in China and major entertainment companies saw their stocks drop. 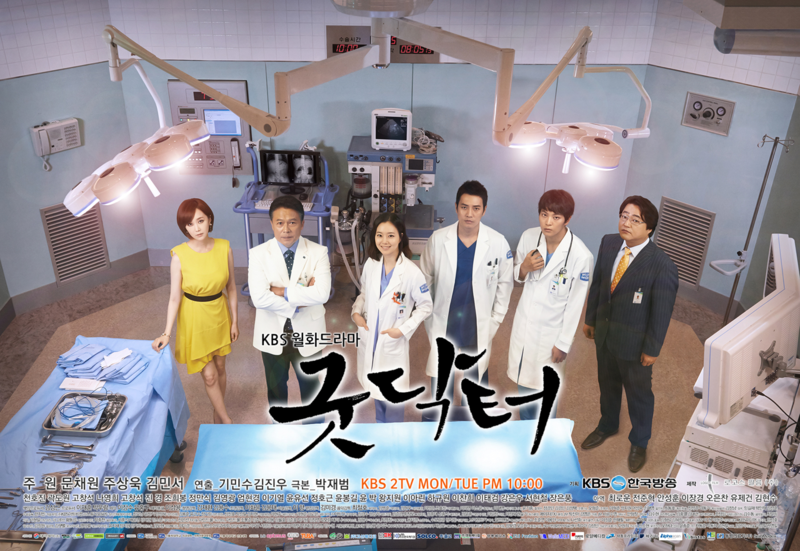 Today, Korean drama is still popular in Asia, but with a restricted Chinese market. In mid-November 2017, the Chosun Ilbo published an article discussing the uptick in Chinese visitors to Korea and in consumption of Korean goods, but this doesn’t necessarily mean other cultural exports like Korean drama will follow suit. The sensitive relations between the two countries leaves the fate of Korean drama in China questionable. Elsewhere, Korean drama has a different outlook. At the 12th Asian TV Drama Conference, many of the talks by industry professionals focused on the fact that the Korean drama has its eye on America in the form of selling dramas to be remade. 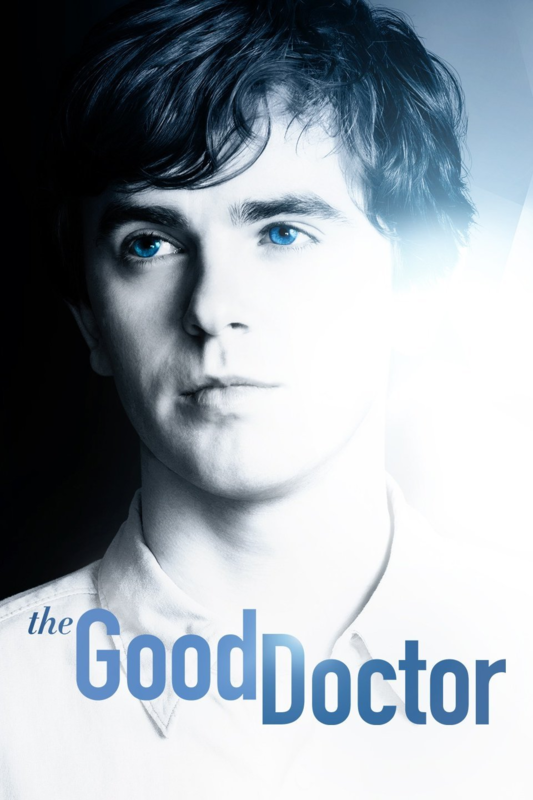 Focus rested on “The Good Doctor,” an American remake of the 2013 KBS “Good Doctor” that has done very well according to American ratings, but that has also been altered to fit the tastes of American audiences. This doesn’t negate the fact that Park Jae-beom’s original work crossed borders in one of the strongest and most successful examples of Korean cultural exportation in the American mainstream market. An obstacle that international fans face is that legal streaming isn’t available in many countries so fans turn to illegal means to watch dramas. This shuts out market opportunities and makes it difficult hard for fans in the countries who would otherwise support Korean drama. Anecdotally, the HanCinema team often fields questions from readers all over the globe about where they can watch the dramas we review. Readers are affected by service costs and geo-blocking. The future of drama in these areas with limited or no access to Korean content lies in the ability of Korean broadcasters and producers to pave roads to the fans. In looking at the future of Korean drama on the international market, Roberts mentions that the inclusion of Korean drama on Hulu and Netflix, high-profile general streaming sites not confined to Korean drama, makes it much more likely to bring in new Korean drama viewers. It also reflects Korean drama’s latent growth potential. In terms of existing international audiences that have the power to increase that growth potential, they are demanding more Korean drama availability in its original format (rather than as remakes). What will do well internationally? Star power is an important litmus test for the likelihood of acquisition outside Korea and for its overall success. Big names are a driving force, but may not always be dependable as can be seen with a few commercial flops like “Faith” with Lee Min-ho. Arteaga and Roberts, as well as demographic data from HanCinema , all concur that Korean drama audiences are mostly female. With this audience in mind, Roberts suggests that melodrama is the most popular genre and can be even more successful when skillfully blended with other genres. 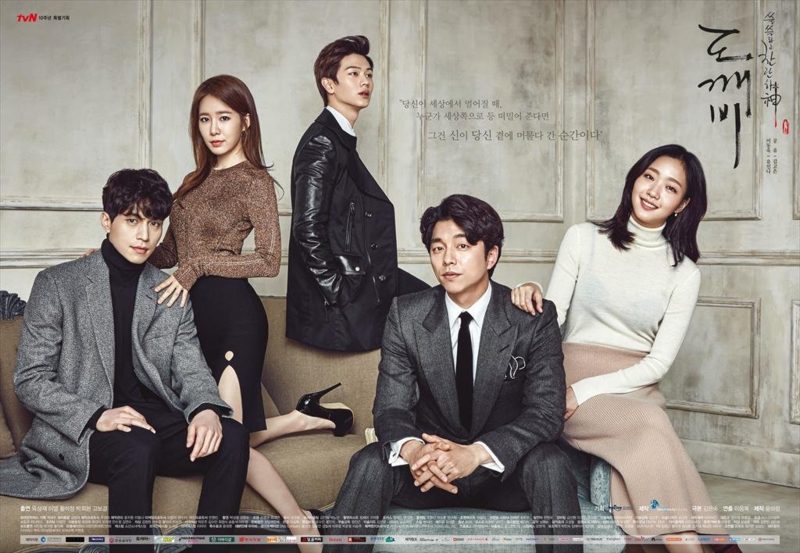 A prime example of this can be found in “Goblin,” an internationally popular drama based on a fantastical romance that utilized strong pairings, fusion modern/historical story elements, Korean celebrity star power, and a driving life-or-death plot. Korean drama is most definitely present on the international television scene and is here to stay. The question is, “How will it grow and change on the international market?” The expanding libraries of general streaming sites like Netflix and Hulu and considerable efforts made by niche streaming sites like Viki, DramaFever, Viu and the newest Korean launch, Kocowa, show that there is awareness of international market potential. It is paramount that availability of Korean drama expands along with this awareness and will hopefully, in turn, help to engage potential new audiences. International fans connect through internet communities fostered by social media and international coverage sites like HanCinema. When word is sent out to that global community about a drama and that drama is available for viewing, a literal world of possibilities unfolds. ※ Lisa Espinosa is the managing editor and travel correspondent for HanCinema, The Korean Movie & Drama Database. She was born in Miami, Florida, USA and has delighted in traveling all over the world and learning new languages. She is studying Korean and Korean culture, and feel lucky that part of her job entails keeping up with most current Korean drama and film releases. Arteaga, Estefania. 'Assessment of the Current State of Korean Drama at Viki.' E-mail interview. 22 Nov. 2017. Chuang, Lisa M., and Hye Eun Lee. 'Korean Wave: Enjoyment Factors of Korean Dramas in the U.S.' International Journal of Intercultural Relations 37.5 (2013): 594-604. Elsevier. 23 July 2013. Web. 24 Nov. 2017. Frater, Patrick. 'China Reportedly Bans Korean TV Content, Talent.' Variety. N.p., 04 Aug. 2016. Web. 21 Nov. 2017. GlobalPost Correspondent. 'Iranians Hooked on Korean TV Drama.' PRI. N.p., n.d. Web. 20 Nov. 2017. Jackson, Brianna. 'Confucianism and Korean Dramas: How Cultural and Social Proximity, Hybridization of Modernity and Tradition, and Dissimilar Confucian Trajectories Affect Importation Rates of Korean Broadcasting Programs between Japan and China.' The Journal of Undergraduate Research and Creativity May (2017): 1-14. Virginia Commonwealth University. Web. 24 Nov. 2017. Kim, Choong-ryung. 'Chinese Tourists Returning to Korea.' The Chosun Ilbo (English Edition): Daily News from Korea - Business. N.p., n.d. Web. 21 Nov. 2017. Hung Jen, Yu-An Huang, Glen Brodowsky, and Hyun Jeong Kim. 'The Impact of Product Placement on TV-induced Tourism: Korean TV Dramas and Taiwanese Viewers.' Tourism Management 32.4 (2011): 805-14. Elsevier. Web. 2017. ▲ PrevLocation Manager, a job that roams the country to find locations.